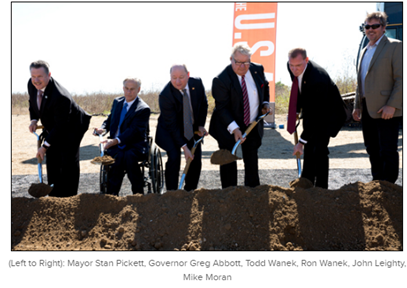 ​MESQUITE – Ashley Furniture Industries​ has broken ground on a new 877,230-sf distribution facility. Phase one of the new facility houses 20 acres under roof on Ashley’s 355-acre site. The distribution and fulfillment center is expected to be completed by September 2018. The facility will house a distribution and fulfillment center to service the South-central market. ​Check out DFW Industrial Market Research.